To see all resumes have created on your website, choose Resumes > All resumes. To see all Jobs posted on your website, choose Jobs > All jobs. 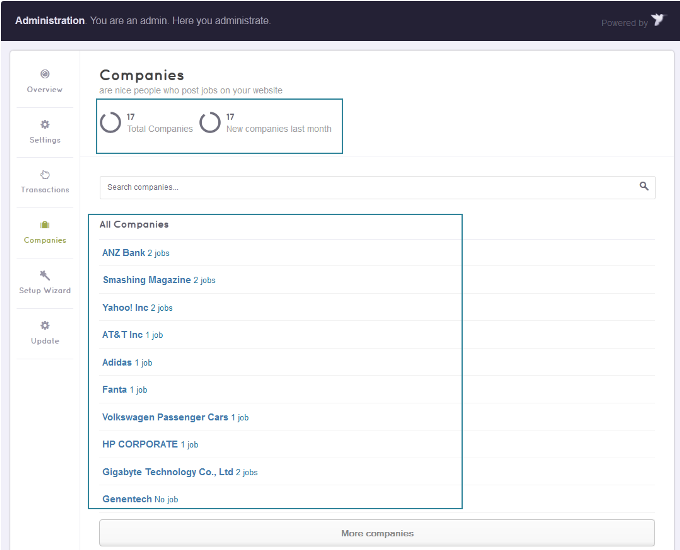 How many companies have posted jobs on your site and how many are new ones can be viewed on this page. You may access this page by clicking Engine Settings > Companies from back-end.